At Edwards Chevrolet Downtown, our mission is to exceed our customer’s expectations by providing top-notch service, parts, and pricing. 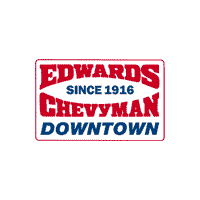 As Alabama’s leader in GM Collision and Powertrain parts, the Edwards Chevrolet Downtown family have been creating long-term relationships with our valued customers for over 100 years. We want to ensure you love your dealership like you love your car.